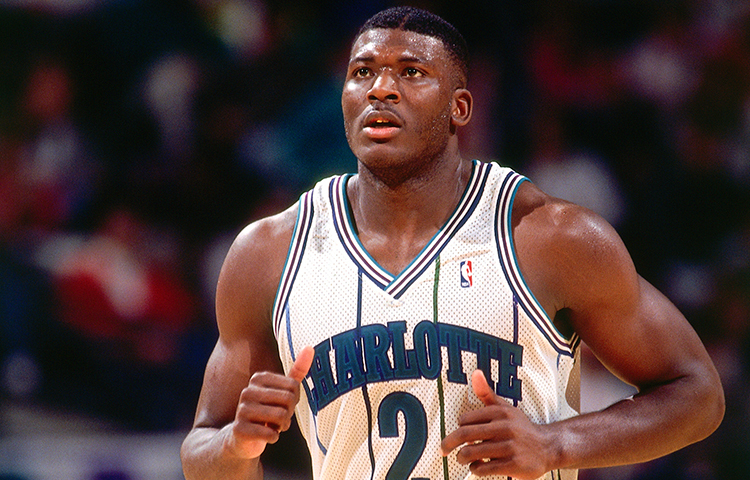 One of the city’s first true sports superstars, forward Larry Johnson left not only a massive impact on the Charlotte Hornets organization from a basketball standpoint, but a cultural one as well. 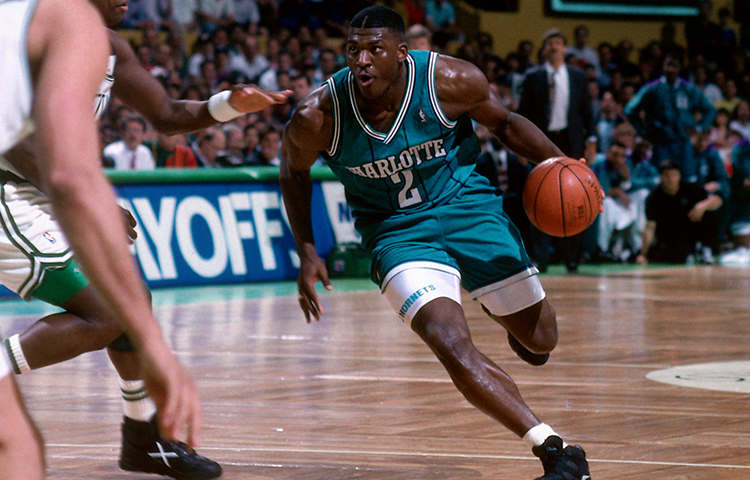 Taken with the first overall pick out of UNLV in the 1991 NBA Draft, Johnson went on to compile the single-greatest rookie campaign in Hornets history. 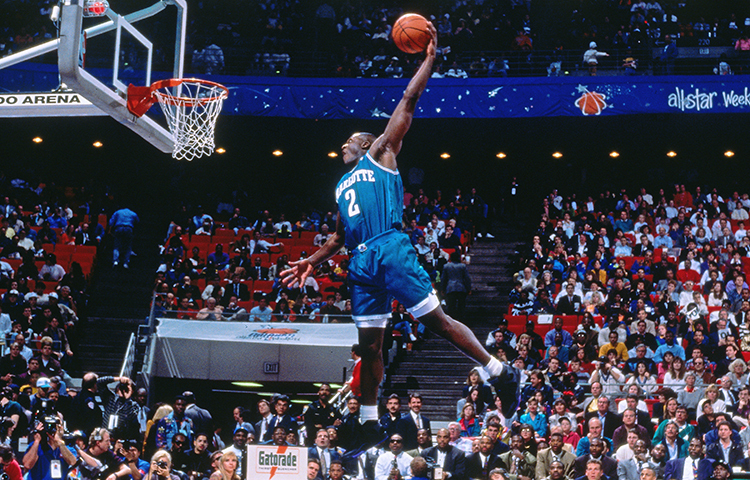 Sandwiched around a second-place showing at the 1992 Slam Dunk Contest, Johnson’s 19.2 points, 11.0 rebounds, 3.6 assists and 1.0 steal during his first season propelled him to the NBA Rookie of the Year Award. 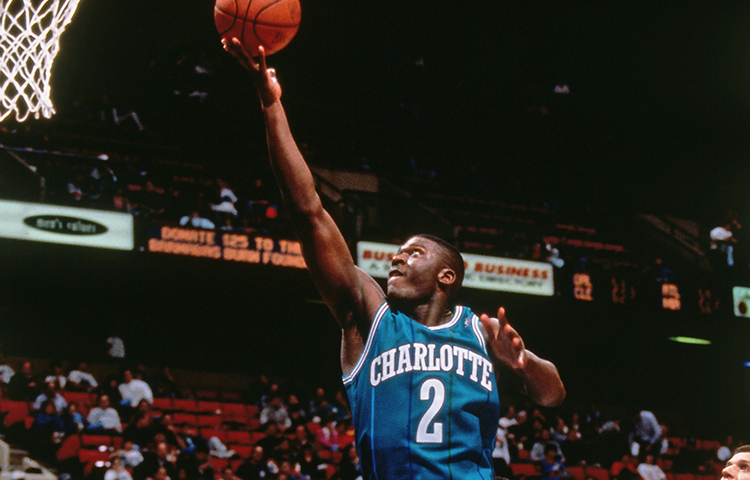 The following year, Johnson became the first of two Charlotte players to ever start for the Eastern Conference at the NBA All-Star Game. 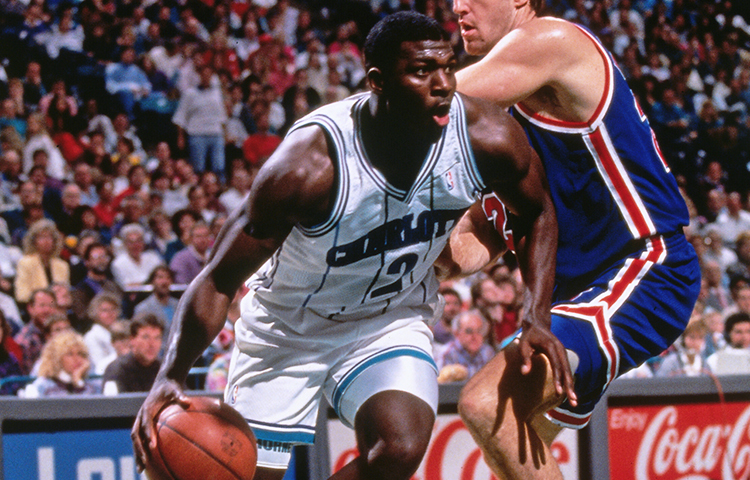 His game quickly became defined by power and athleticism and he finished the 1992-93 campaign with a career-high 22.1 points, 10.5 rebounds and 4.3 assists on his way to All-NBA Second Team honors. Known simply as ‘L.J.’, it was around this time that Johnson’s popularity began skyrocketing throughout the league thanks to the Converse sneaker commercials featuring his ‘Grandmama’ persona. He appeared on the inaugural cover of SLAM magazine, had his own signature sneaker and was more or less a transcendent pop culture superstar with appearances in Space Jam, Eddie, and Family Matters. Johnson won a gold medal for Team USA at the 1994 FIBA World Championships and made another NBA All-Star appearance in 1995, although troublesome back problems had begun flaring up. 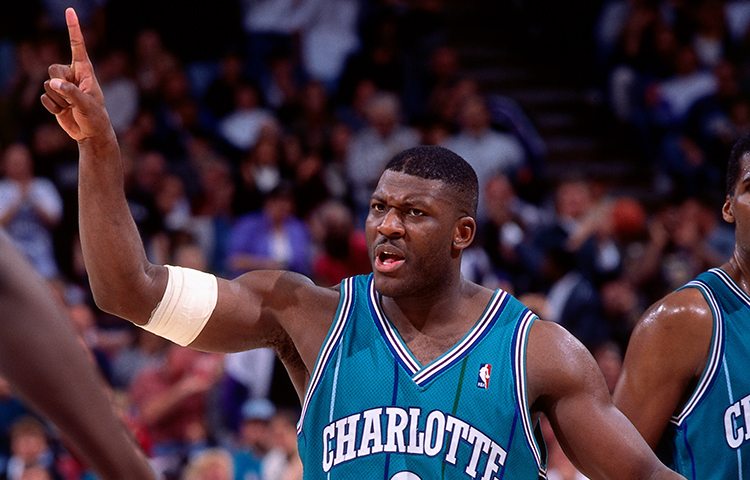 In five years with the Hornets – which included a pair of playoff appearances – Johnson averaged 19.6 points on 49.6 percent shooting, 9.2 rebounds and 4.1 assists over 377 regular season games. 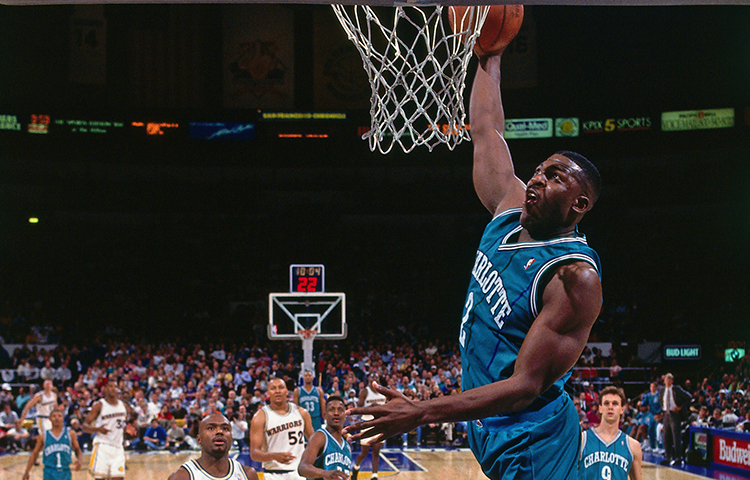 The Hornets traded Johnson to the New York Knicks on July 14, 1996, sending Anthony Mason and Brad Lohaus back to Charlotte. 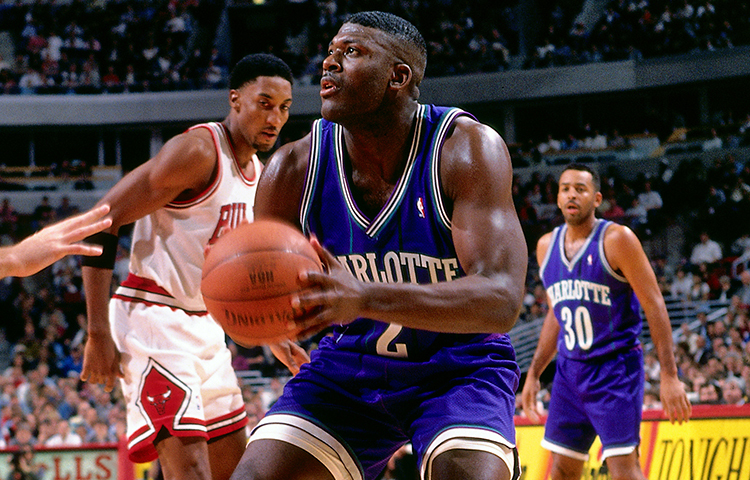 Johnson would play five more seasons with his new club and even reached the NBA Finals in 1999. Unfortunately, he never recaptured the magic from the front half of his career in Charlotte due to his chronic back issues and he retired on October 10, 2001. Johnson still ranks first in franchise history in offensive rebounds (1,186), second in total rebounds (3,479), third in field goals (2,858) and free throws (1,513), fourth in points (7,405) and tied for 10th in steals (296). He currently serves as a Basketball and Business Operations Representative for the Knicks.